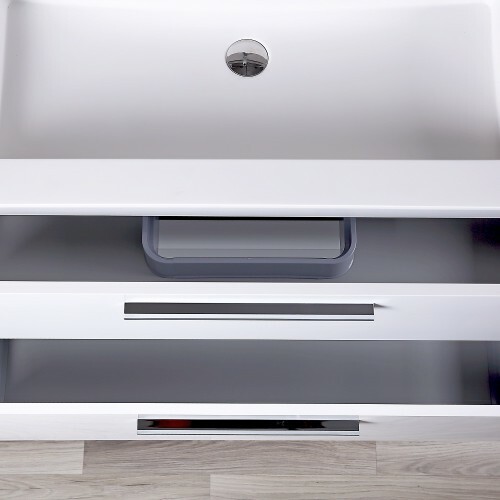 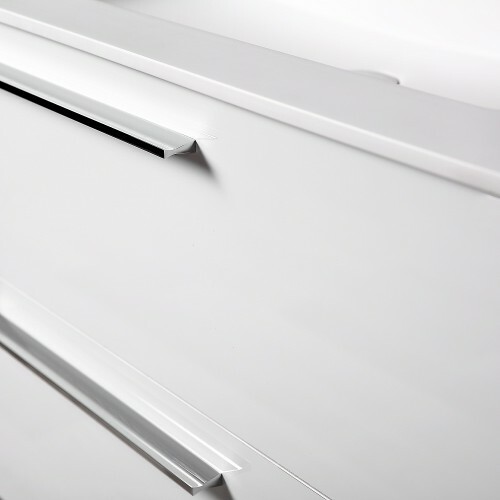 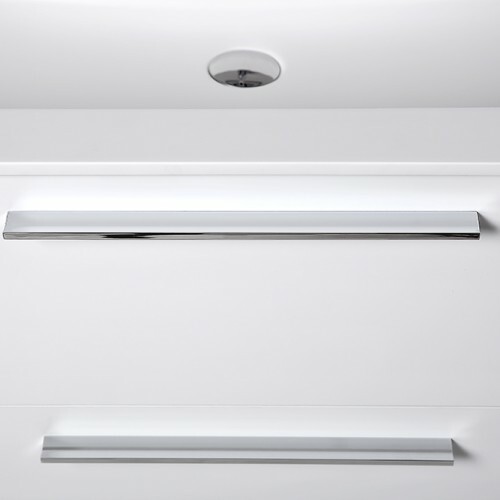 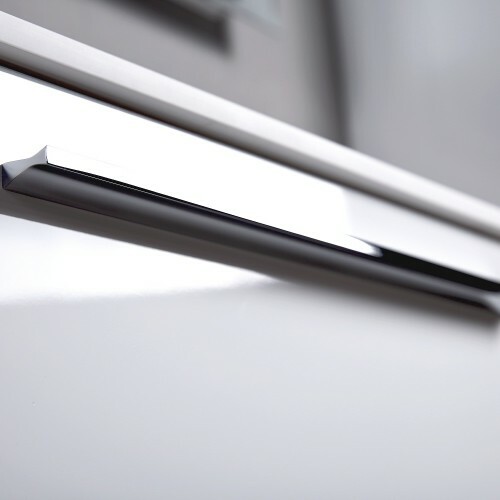 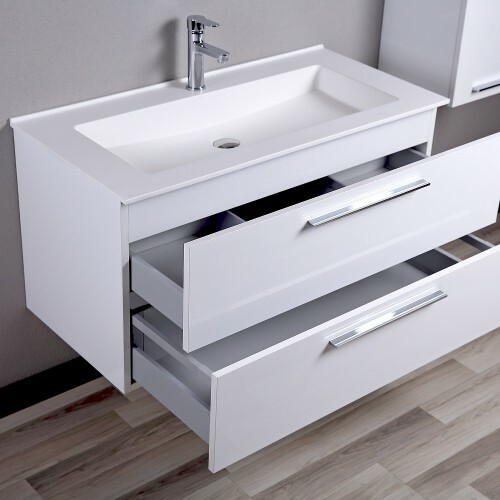 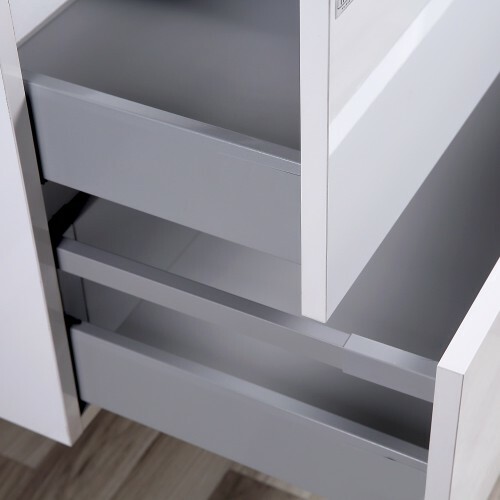 Elke’s double-drawer cabinet provides a modern design with plenty of storage. 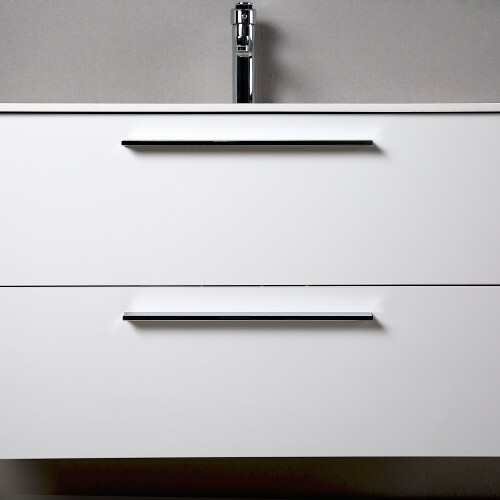 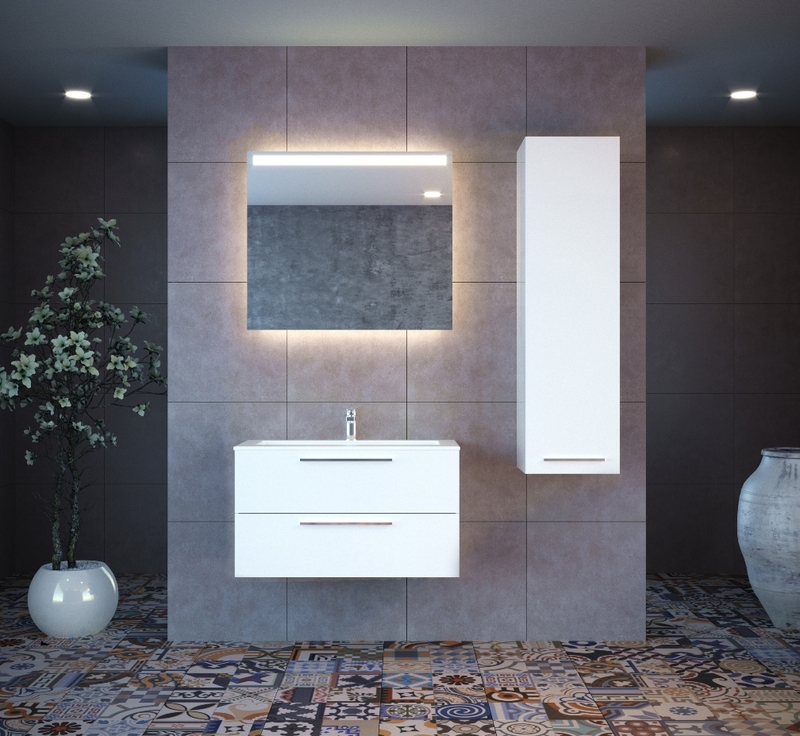 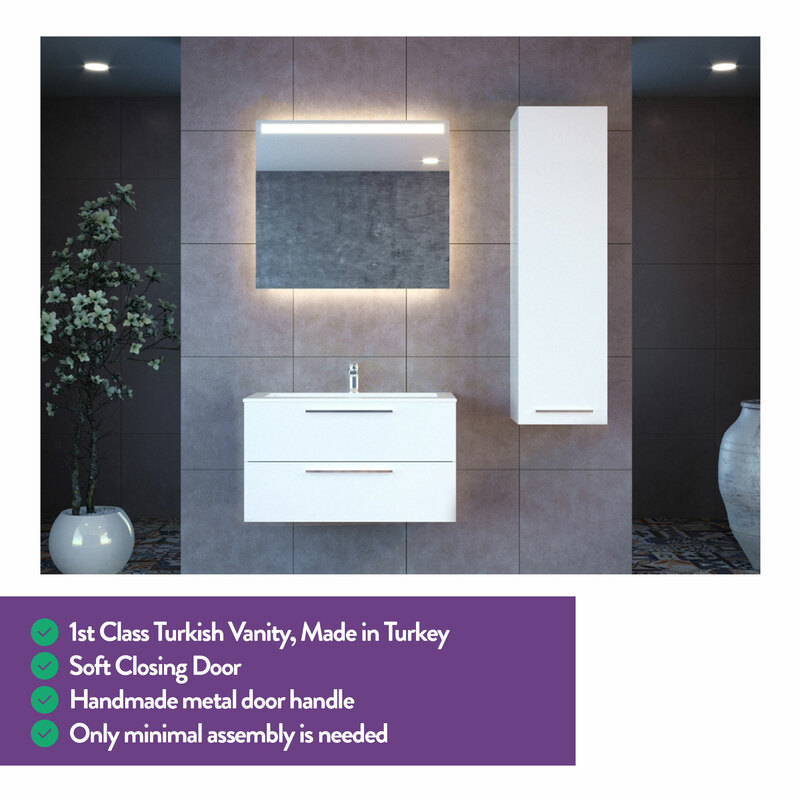 Long lasting and meticulously designed of MDF, this cabinet is easy to clean, simple to repair and has the look and texture of natural grain wood. 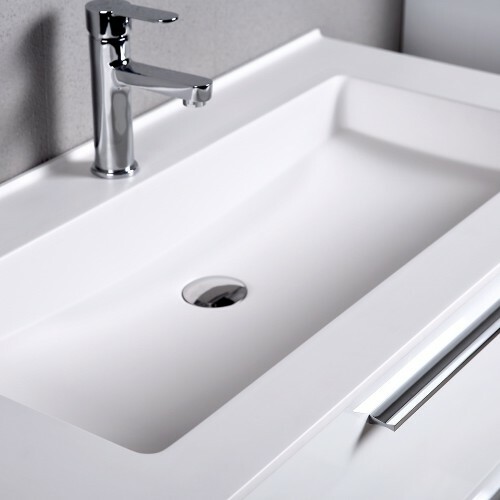 The spacious washbasin combines natural minerals with a minimal amount of resin for a glossy surface that is resistant to scratches. 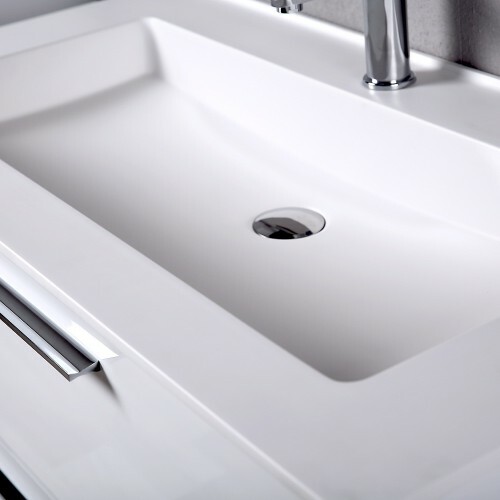 It has an antibacterial surface that doesn’t use additives.